Must be a PSC student with a 2.0 G.P.A. or greater. 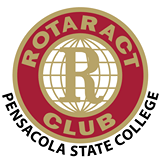 Rotaract is a club for adults ages 18-30 that meets to exchange ideas, plan activities and projects, and socialize. While Rotary clubs serve as sponsors, Rotaract clubs decide how to organize and run their club and what projects and activities to carry out.